You don’t have to read many of Jesus’s teachings to realize that He makes a very high call to those who would follow Him. He calls them to lose their lives, to surrender themselves completely to Him, to live totally dedicated to making other followers. When we hear this call, we start to make excuses — reasons that his call doesn’t apply to us, or why we can’t fully commit. They are barriers that block us from fully surrendering ourselves to Jesus, accepting his call and living the life of great eternal purpose that He has for his followers. 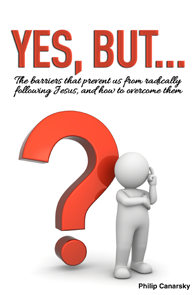 In Yes, but…, we look at some of the most common barriers that prevent us from following Jesus’s call; and we learn how to overcome them. 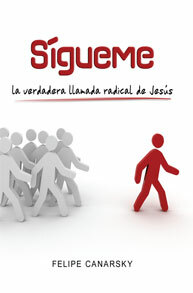 We are giving away the e-book and all of the digital resources! I invite you to use the book Yes, But.. in your church. You could preach the material from this book in a sermon series, you could use it to teach in classes or home groups, and you could use it for one-on-one discipleship.